Worried about your nail health? Do you wish to keep your cuticles soft, smooth and forever clean? If the answer is a yes, then you have to give the hot oil manicure a shot! It has definitely earned a lot of reputation these days and the girls seem to be in love with it. Are you interested in knowing more? 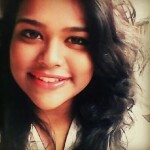 Continue reading this post! What Is The Hot Oil Manicure? Hot oil manicure is one of the most expensive and luxurious treatments of all times. There is no better way to pamper your nails and hands other than this. It imparts nourishment to both your nails and cuticles and is best suited for those ladies who have damaged cuticles. Not just that, hot oil manicures are one of the most difficult treatments, and are only found at expensive spas. But you don’t have to spend a fortune on something like this. 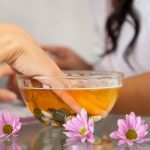 In this post, you are going to learn quick, smart hot oil manicure procedure that you can do right at your home. Mix all the ingredients and allow the mixture to heat in a microwave for about 30 seconds approx. You can break the vitamin E capsules and add to this mixture. Make sure the oil isn’t way too warm. Now gently dip your nails into the oil mixture till it has completely cooled off. If you have enjoyed this session, reheat for ten seconds again and dip your nails once more. Take some oil into your hands and wrist and gently massage all over your hands. Once you are done with that, wash your hands using plain water. This completes your hot oil manicure treatment. You could do this twice a week as a ritual before going to bed. Also, remember to massage your hands with a moisturizing lotion right after this. Getting a hot oil manicure regularly done will prevent your nails from aging too fast. Plus, when you massage the skin, you are actually using a great acupressure technique to improve blood circulation and improve your skin health. It takes care of skin problems in the long run. 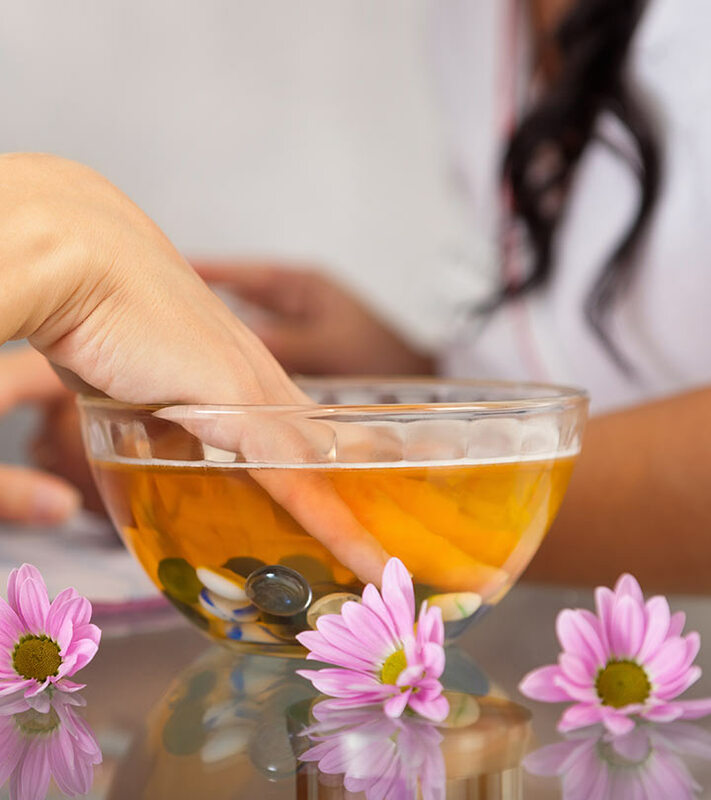 Hot oil manicure will also cleanse and exfoliate your nails and improve the texture of your cuticles in the long run. Hangnails are easily removed in the process. Your nails will be cleaner, and they will grow stronger and faster. The flexibility of your wrists and hands will improve at the same time. Should You Get It Done At The Spa? Getting a hot oil manicure at the spa comes with several benefits. If you think you can afford, then splurge into one soon. Hot oil manicures done at salons will provide you with professional services and allow you to experiment with a wide range of products. Not just that, you will always be provided with a cleaning service alongside where you can choose what kind of service you would like. How did you like this post? Have you tried the hot oil manicure earlier? Spill in some of your nail secrets in the comment box below! We would love to hear from you. Say Bye To Chippy Nails! This Manicure Rescues You! How To Do Paraffin Wax Manicure At Home?